C. E. DEE, one of the well-known residents of Mulberry Grove, carries on a flourishing milling business in this place. The father of our subject was named Hiram Dee, and he was a native of Vermont, born in 1812, and was reared in his native place, where he conducted a shoemaker shop. The father of Hiram was named Washington, for the Father of our country, was a native of Vermont, and was of Scotch-Dutch parentage. The mother of our subject was Mary Walker, and she was a native of Vermont also, and was reared in her native village, and in that State our subject's parents were married. 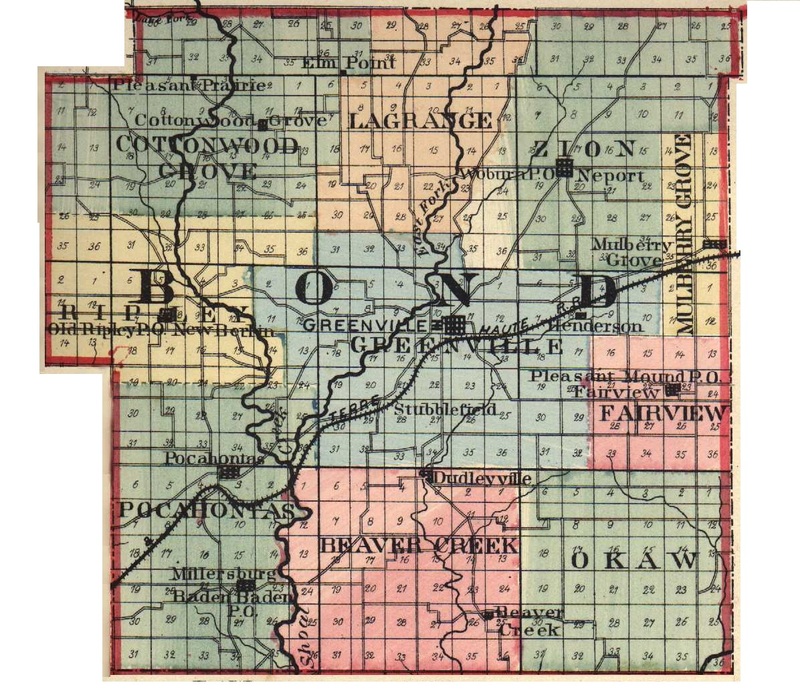 They removed to Des Moines County, Iowa, and lived there until 1851, when they came into Madison County, and located near St. Jacobs, where the father died in 1863, and the mother in 1885. The former took part in the Civil War, having been a member of Company D, One Hundred and Seventeeth Illinois Infantry, and served his country faithfully. Mr. and Mrs. Dee were the parents of eleven children, seven of whom grew to maturity, and six of them are still living. The eldest of these is the subject of the present sketch, Charles. The others are, Lavina C., Warren W., Clara O., James G., and Laurence W.
Our subject is the second son and child in the family. Being the eldest of the living children, the responsibility of the family fell upon him after his father's death. His first schooling was obtained in Iowa, where he attended the subscription schools, and after he came into this State, he went to school in St. Clair County. He remained with his mother caring for the family until his marriage. This important event took place August 4, 1870, when he made Miss Sarah B. Riley his wife. She was the daughter of William Riley, and was a native of Bond County, where she grew to womanhood. Our subject came into this county in 1869, and located at Mulberry Grove, and there engaged in the sawmilling business, in which he continued for one year, when he started a flouring mill, and has made a very successful business of this enterprise. His mill is one of the latest in all improvements, and is a sixty-barrel roller mill, and his flour is in great demand. His trade is constantly increasing, for the staff of life is a necessary adjunct to every family, and all prudent people soon find where the best flour can be obtained. Poor flour makes poor bread, and that is dear at any price. Mr. and Mrs. Dee became the parents of three children, of whom two are living, George and Wallace; Charles E. died at the age of sixteen months. Mr. Dee is a Republican in his political preference, and cast his first vote for Abraham Lincoln, and has voted with that party since. In his church relationship, our subject is prominently connected with the Methodist Episcopal Church, and in that denomination he is Trustee and Class-leader. He is a man of means, and one who possesses the esteem of the whole neighborhood. Extracted 21 Dec 2016 by Norma Hass from 1892 Portrait and Biographical Record of Montgomery and Bond Counties, Illinois, page 511.